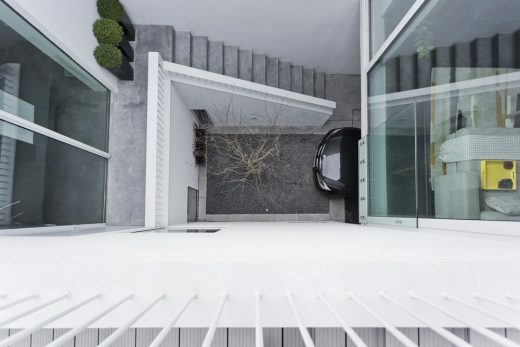 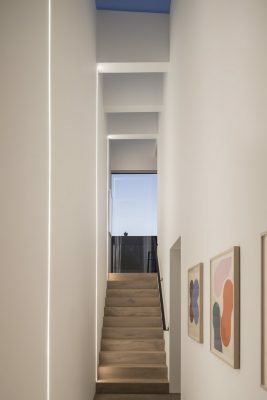 Situated on a tight laneway, these four mews houses give little away to the street of their interlocking light filled floor plates. 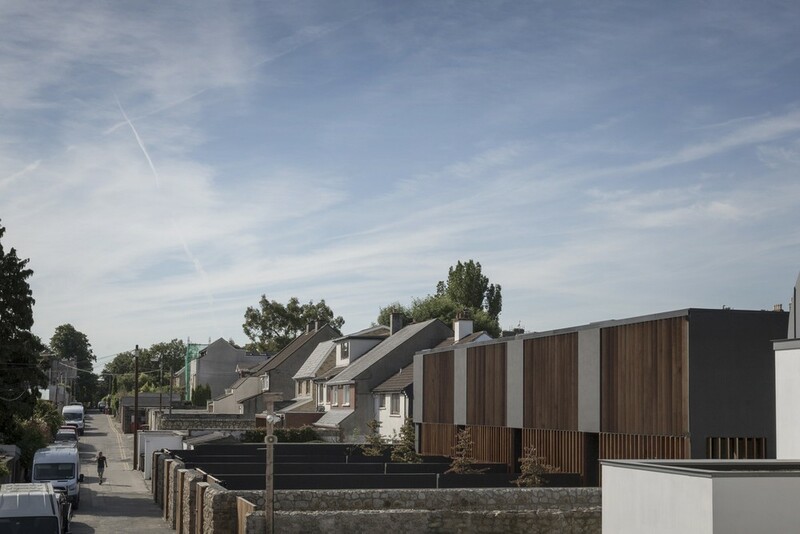 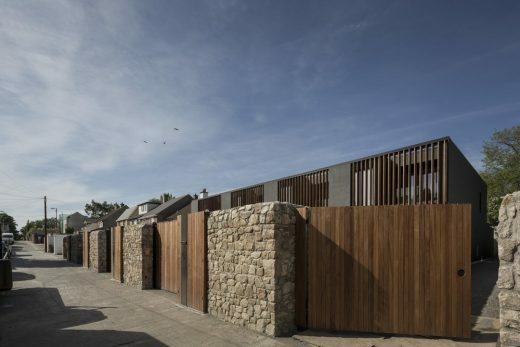 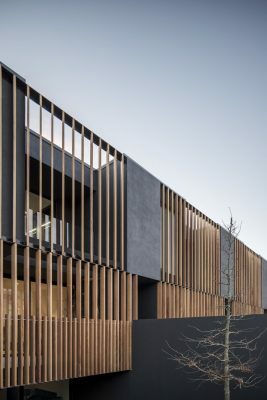 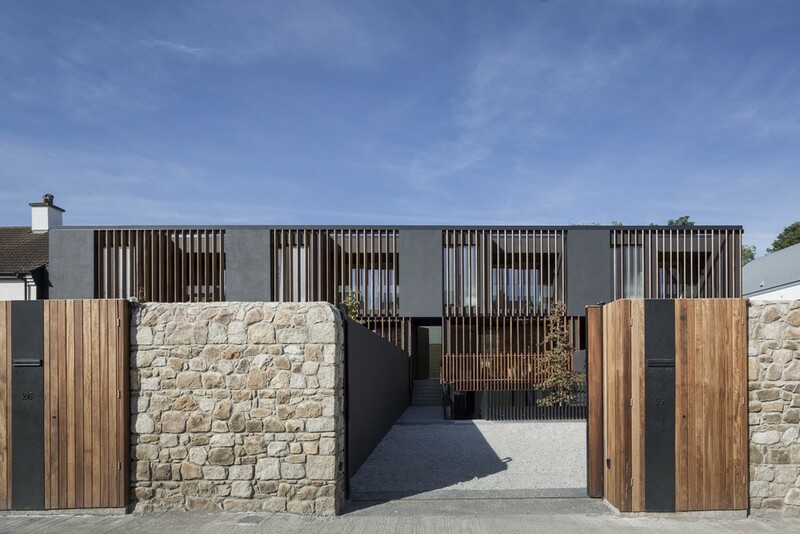 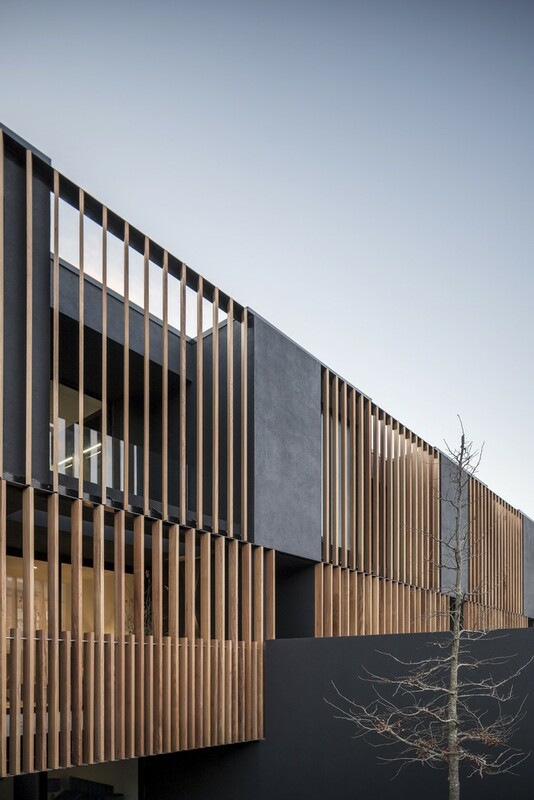 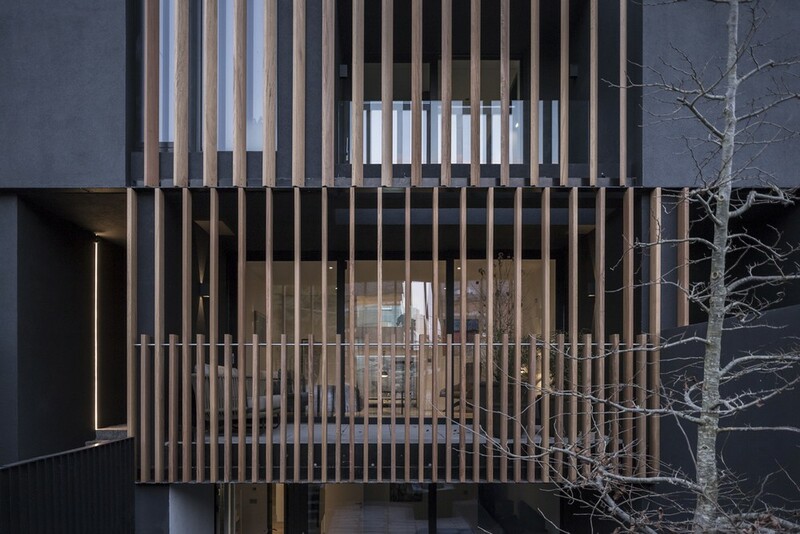 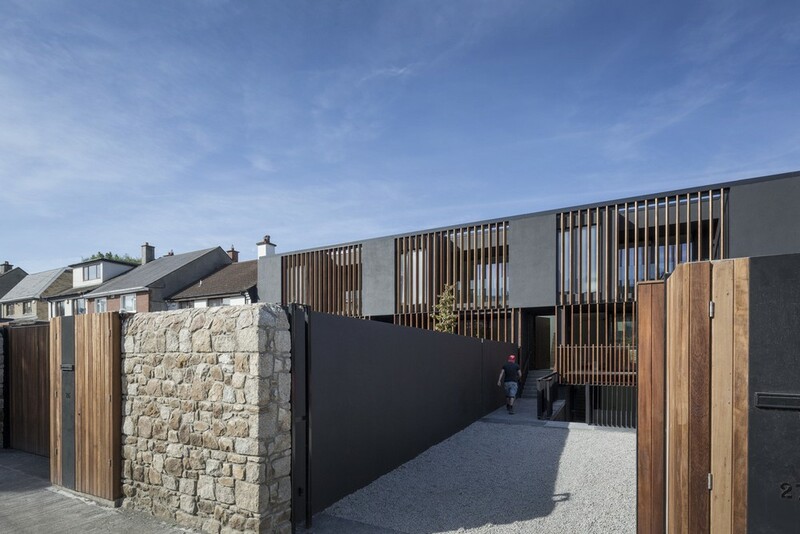 The exterior expression of the development responds to its immediate context in which the front elevation is designed with elegant proportions of a juxtaposition of solid, timber n screens and recessed entrances. 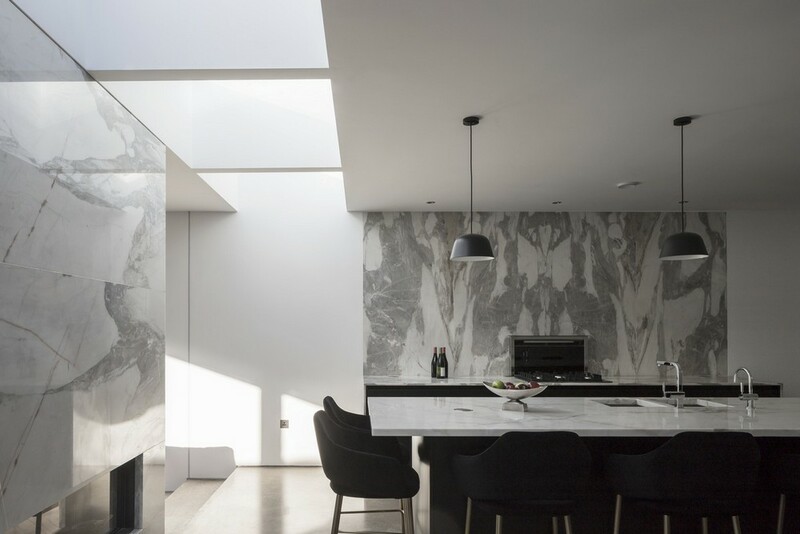 The interior is a complete contrast to the dark and mysterious exterior. 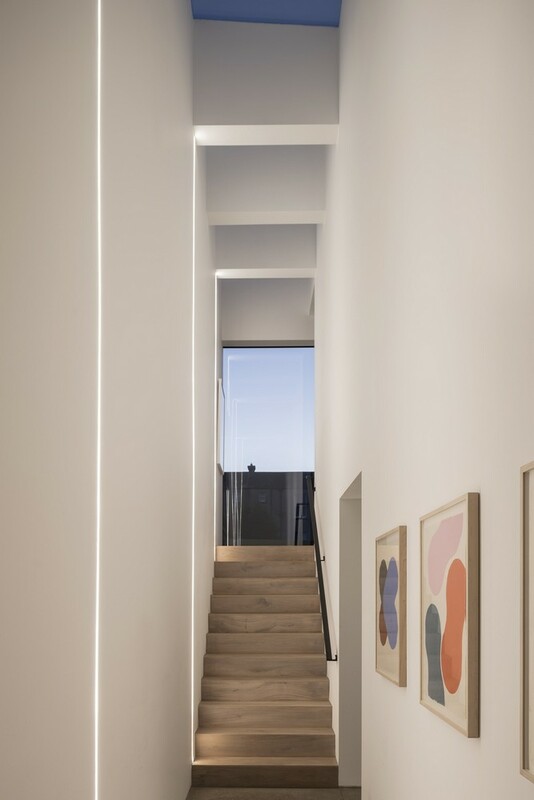 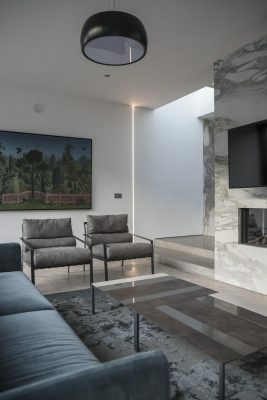 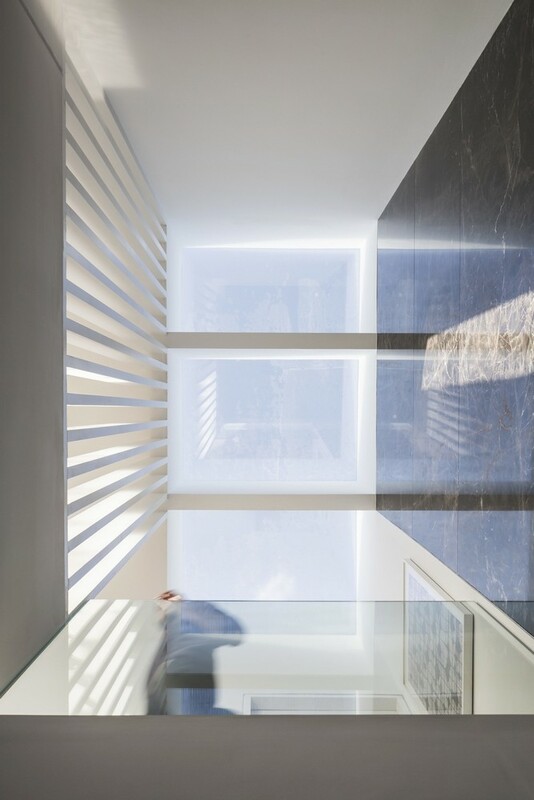 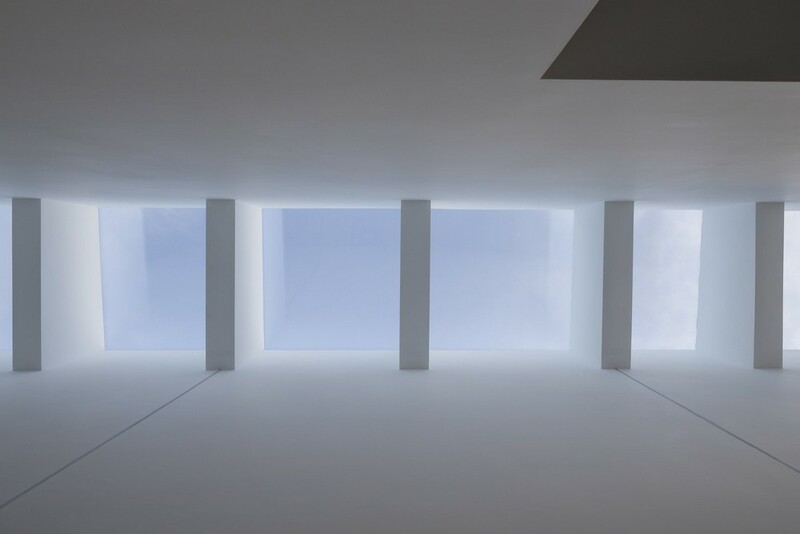 In the entrance hallway, a double height space with rooflights above creates a light filled interior complemented by clean minimal design with white walls and a polished concrete floor. 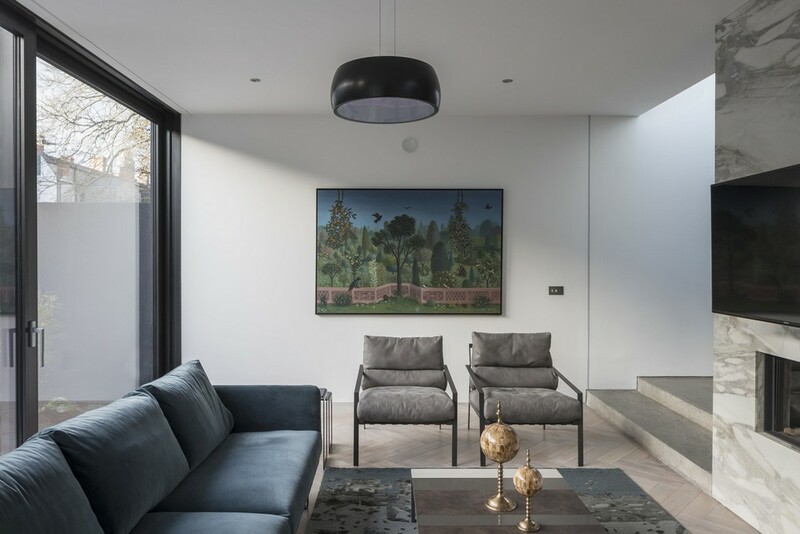 A full-height sliding door reveals the living space to the front, lined with a white oiled oak herringbone timber floor which opens out to its own private terrace. 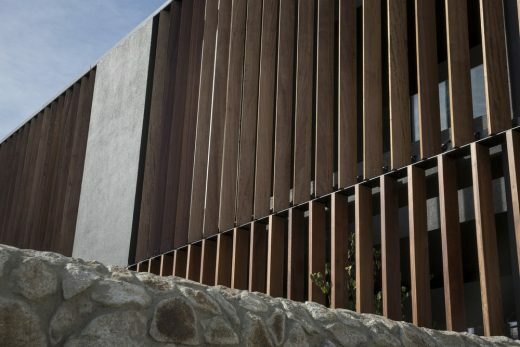 The iroko timber screen offers additional privacy to the living space and creates a sense of intimacy for the inhabitant. 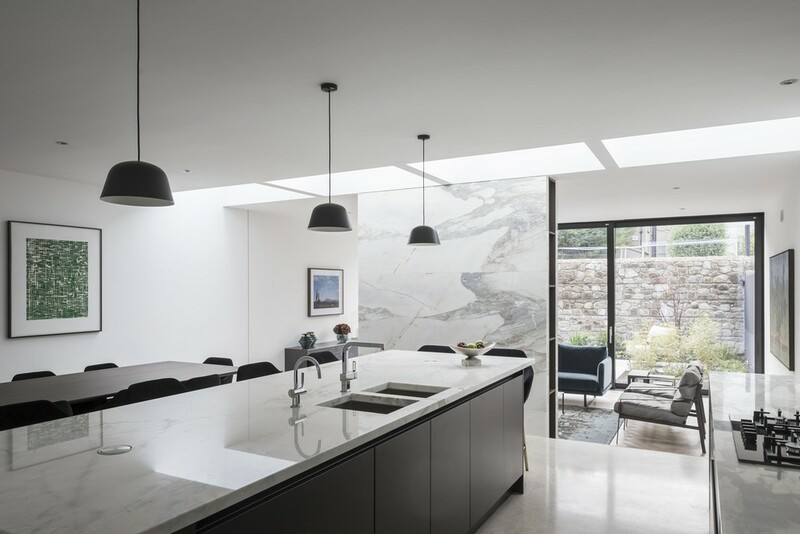 Behind, an open plan kitchen and dining space is located which steps down to a lower lounge and the rear garden. 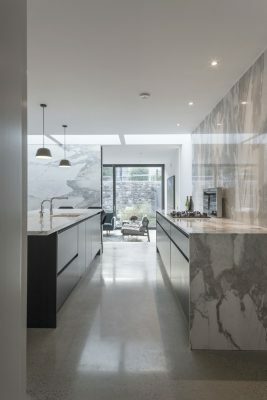 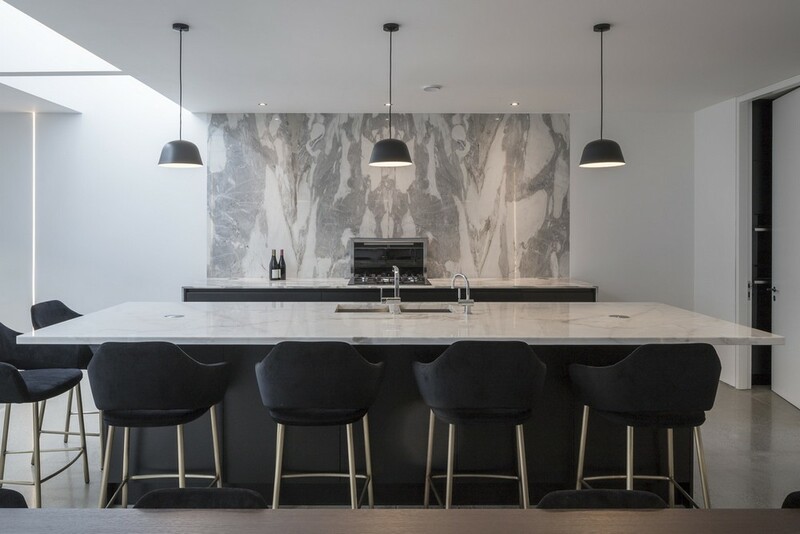 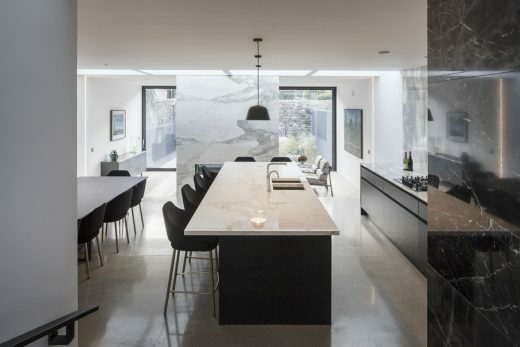 The kitchen and dining space is separated from the rear lounge by a feature marble tunnel replace, a band of full width rooflights above and a stepped material change in floor from polished concrete to white oiled oak herringbone timber. 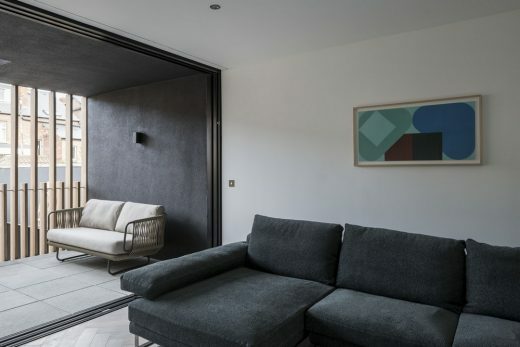 Full height glazed sliding doors create a direct connection between the open plan interior to the rear private garden. 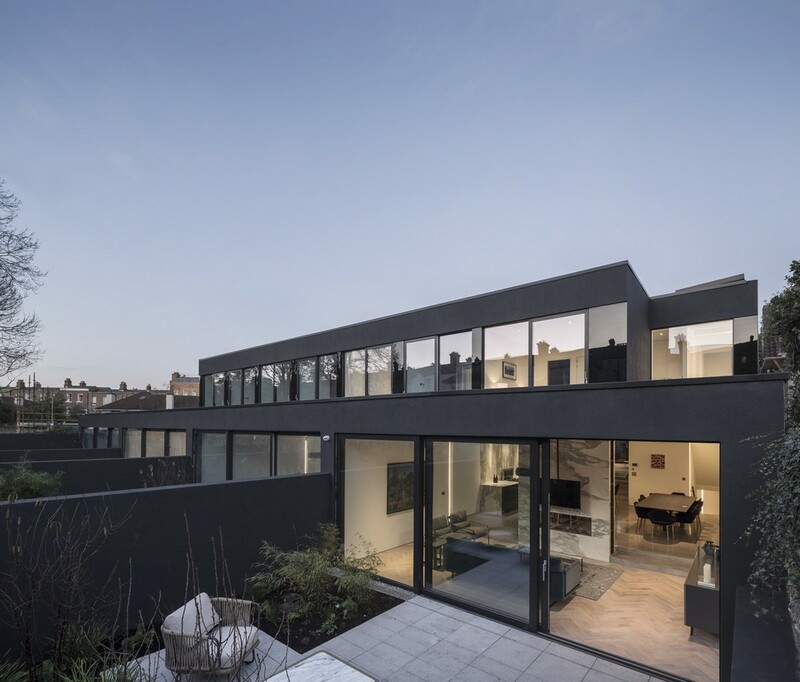 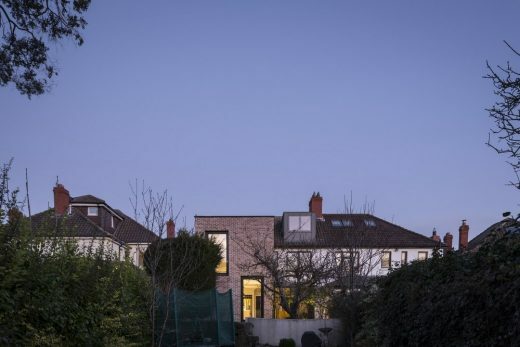 The upper floor contains two bedrooms with full height glazing that overlooks a planted roof. 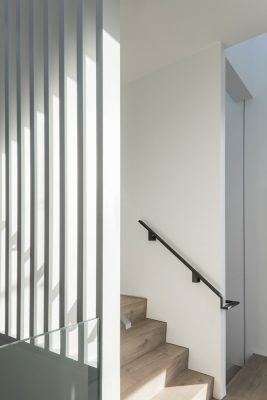 A separate staircase lined with full height timber fins gives a visual connection between the upper floors and ground floor below. On the upper level, the master bedroom features its own private walk-in-wardrobe, ensuite, and private terrace overlooking the front garden. Each dwelling has been finished to a high specification with under floor heating throughout and aluminium framed glazing. All bedrooms and living spaces are fully fitted with the white oiled oak herringbone timber floor, while the kitchen, dining, hallway, and stairs feature a polished concrete finish.